Deliver a more professional and precise line with properly sharpened eye and lip pencils. 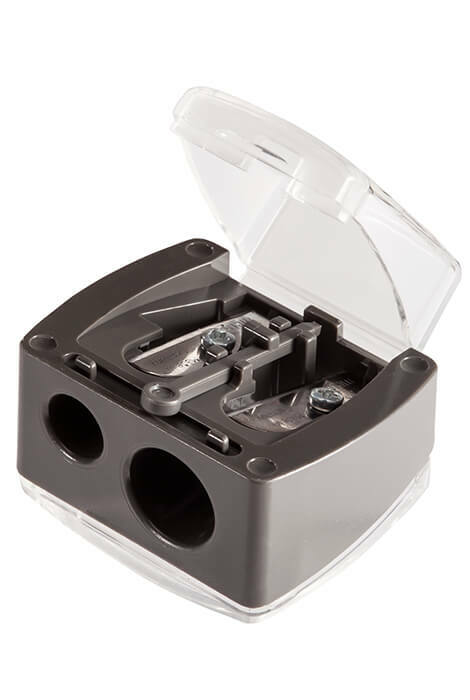 This custom designed dual metal blade pencil sharpener is a makeup bag essential. Two openings to fit 8mm or 12mm pencils. Cosmetic metal blade forms a round tip on pencils. Comes equipped with a cleaning stick and removable hinged waste container. Cover on both sides keeps your cosmetic bag or purse clean. 1. Insert cosmetic liner pencil into the sharpener. Put it all the way into the sharpener, but do not force it. The pencil should slide easily and two sizes are available depending on pencil size. 2. Sharpen the cosmetic pencil. Turn the pencil in the sharpener a couple times (at least one full rotation). Pencil shavings will collect in see-through compartment. Empty when full. 3. 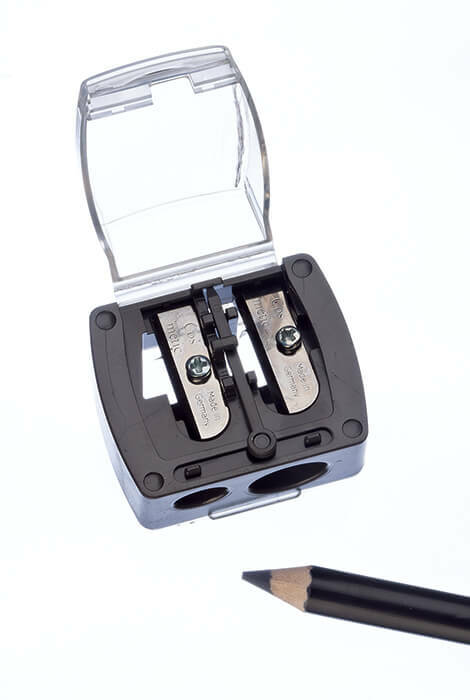 Cleaning stick located between blades can be removed and used to extract makeup buildup in sharpener.